Publications by authors named "Ian Njeru"
Factors associated with cholera in Kenya, 2008-2013. Pan Afr Med J 2017 3;28:101. Epub 2017 Oct 3. Department of Preventive and Promotive Health, Ministry of Health, Nairobi, Kenya. Health worker knowledge of Integrated Disease Surveillance and Response standard case definitions: a cross-sectional survey at rural health facilities in Kenya. BMC Public Health 2018 01 17;18(1):146. Epub 2018 Jan 17. Nagasaki University Institute of Tropical Medicine, Nagasaki, Japan. Effects of flood irrigation on the risk of selected zoonotic pathogens in an arid and semi-arid area in the eastern Kenya. PLoS One 2017 31;12(5):e0172626. Epub 2017 May 31. Understanding mSOS: A qualitative study examining the implementation of a text-messaging outbreak alert system in rural Kenya. PLoS One 2017 19;12(6):e0179408. Epub 2017 Jun 19. Did the call for boycott by the Catholic bishops affect the polio vaccination coverage in Kenya in 2015? A cross-sectional study. Pan Afr Med J 2016 7;24:120. Epub 2016 Jun 7. American Red Cross, Nairobi, Kenya. Factors associated with adequate weekly reporting for disease surveillance data among health facilities in Nairobi County, Kenya, 2013. Pan Afr Med J 2016 6;23:165. Epub 2016 Apr 6. Kenya Field Epidemiology and Laboratory Training Program, Ministry of Health, Nairobi, Kenya; US Centers for Disease Control and Prevention, Nairobi, Kenya; Division of Global Health Protection, Center for Global Health, Centers for Disease Control and Prevention, Atlanta, USA. The African cholera surveillance network (Africhol) consortium meeting, 10-11 June 2015, Lomé, Togo. BMC Proc 2017 31;11(Suppl 1). Epub 2017 Jan 31. Agence de Médecine Préventive, 21 bd Pasteur, 75015 Paris, France. Detection of dengue virus serotypes 1, 2 and 3 in selected regions of Kenya: 2011-2014. Virol J 2016 11 4;13(1):182. Epub 2016 Nov 4. Kenya Medical Research Institute, P. O Box 54628-00200, Nairobi, Kenya. Enteric pathogens and factors associated with acute bloody diarrhoea, Kenya. BMC Infect Dis 2016 09 6;16:477. Epub 2016 Sep 6. Kenya Medical Research Institute, Nairobi, Kenya. A comparison of malaria prevalence, control and management strategies in irrigated and non-irrigated areas in eastern Kenya. Malar J 2016 Aug 11;15(1):402. Epub 2016 Aug 11.
International Livestock Research Institute, P.O. Box 30709-00100, Nairobi, Kenya. MERS-CoV Antibodies in Humans, Africa, 2013-2014. Emerg Infect Dis 2016 06 15;22(6):1086-9. Epub 2016 Jun 15. Effectiveness of a Mobile Short-Message-Service-Based Disease Outbreak Alert System in Kenya. Establishing a One Health office in Kenya. Pan Afr Med J 2014 29;19:106. Epub 2014 Sep 29. Global Disease Detection Division, Centers for Disease Control and Prevention-Kenya, Nairobi, Kenya. Rubella outbreak in a Rural Kenyan District, 2014: documenting the need for routine rubella immunization in Kenya. 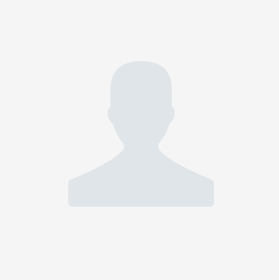 BMC Infect Dis 2015 Jun 27;15:245. Epub 2015 Jun 27. Department of Health, Nakuru County, Nakuru, Kenya. Forewarning of poliovirus outbreaks in the Horn of Africa: an assessment of acute flaccid paralysis surveillance and routine immunization systems in Kenya. World Health Organization, Inter-country Support Team, East and Central Africa. National surveillance data on the epidemiology of cholera in Kenya, 1997-2010. Division of Disease Surveillance and Response. A national cholera epidemic with high case fatality rates--Kenya 2009. Epidemic Intelligence Service, Office of Workforce and Career Development.